PSA - Darkmoon Faire trick for the 3 new pets! - Bloated Thresher / Flotsam Pools give you an extra boost, otherwise it's 100% catch rate (with enough fishing, I'm max so not sure). 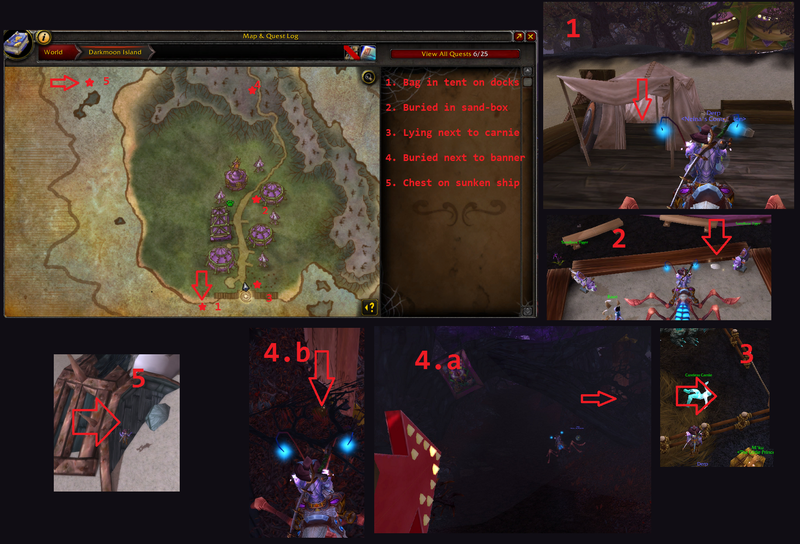 Step 2: Buy Faded Treasure Map from Galissa Sundew on the docks. - Or just fish up more Darkmoon Daggermaw and mail to your alts - they aren't bound! Obviously, this is a good way to speed up collecting other pets/toys/mounts you might be missing from the Darkmoon Faire in addition to the 3 new balloon animals. All credit to Wowhead contributors for the information, I'm just the messenger who doesn't have time to do Darkmoon Faire quests all week! Re: PSA - Darkmoon Faire trick for the 3 new pets! As an easy alternative to fishing the 300 Darkmoon Daggermore they trade on the Auction house very cheaply for around 1750G/100 on most servers. Also if you don't have an alt that hasn't already done the Lvl 15 treasure hunt quest you can create an Allied race. They can go straight to Darkmoon after a couple of very quick quests to travel to a Capital City.